ATLANTIC LEATHER IS THE FIRST – AND IN FACT THE ONLY – COMPANY IN THE WORLD TO FIND A WAY TO MAKE FISH LEATHER THAT CAN BE WASHED IN A WASHING MACHINE. WASHABLE MEANS THAT THE COLOR AND SOFTNESS OF THE LEATHER IS NOT AFFECTED BY A MACHINE WASH AT 30°C DEGREES (86° FARENHEIT). 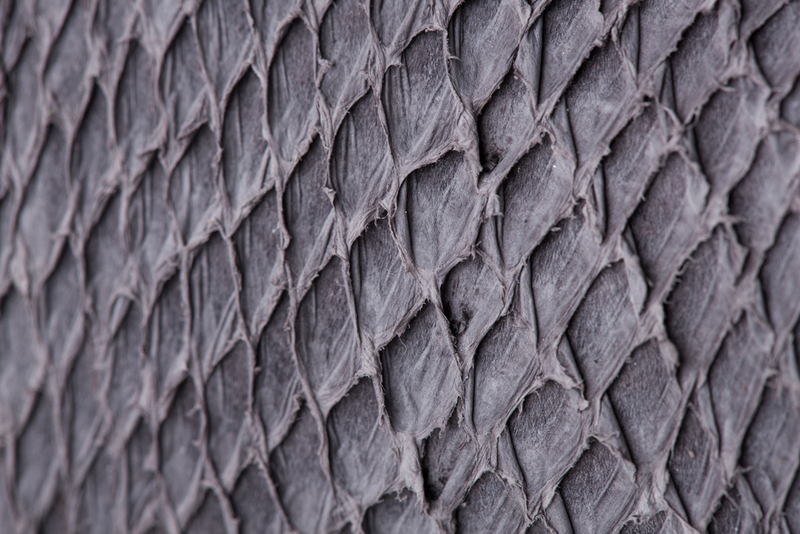 FASHION DESIGNERS HAVE LONG BEEN INTERESTED IN USING FISH LEATHER AS A DECORATIVE FEATURE ON GARMENTS, BUT UNTIL NOW THAT HAS MEANT THAT THE GARMENT REQUIRED DRY CLEANING – OR, MORE SPECIFICALLY, SPECIALIST LEATHER CLEANING. THAT CAN BOTH BE TIME-CONSUMING AND EXPENSIVE FOR THE CUSTOMER. WITH WASHABLE SALMON LEATHER, ALL THAT IS A THING OF THE PAST. 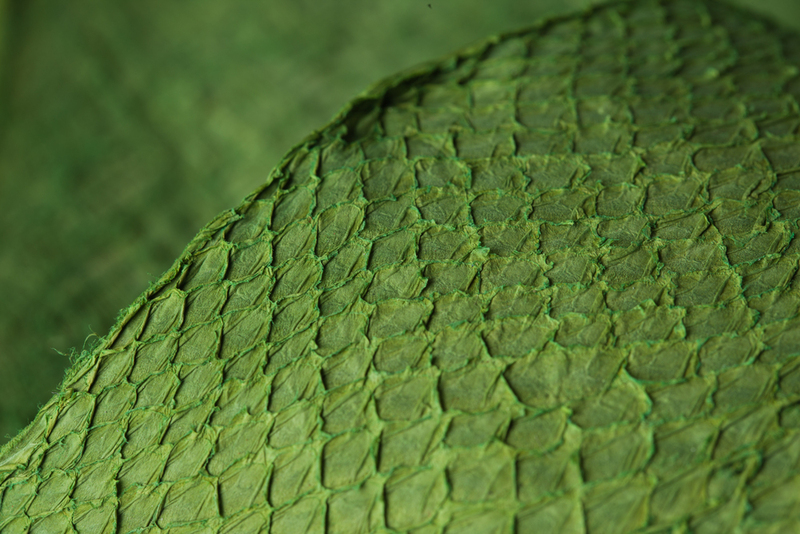 WASHABLE SALMON LEATHER OPENS UP NEW POSSIBILITIES FOR THE USE OF FISH LEATHER, ESPECIALLY IN FASHION DESIGN AND PRODUCTION. ATLANTIC LEATHER HAS BEEN OFFERING WASHABLE SALMON LEATHER SINCE 2009, AND DESIGNERS AND USERS ARE VERY HAPPY WITH THE RESULTS. Length and width: Hides of salmon are 60 to 65 cm long and 8 to 12 cm at the widest point. Size: Sizes are measured in square feet. The average size is 0.8 square feet. Color: "Normal" salmon leather offers a considerably larger range of colors than our other fish leathers, especially in brighter shades. For NAC salmon leather the color range is more limited. Texture: Salmon leather offers two main textures: with open scales – a rougher texture – or with closed scales, which is more refined.